Thank you to all the children and families who visited Trinity last weekend for our Trunk or Treat gift to you! Many thanks to the 75+ volunteers who worked non-stop to help make Trunk or Treat another successful event. Thanks also to those who donated extra candy (we went through pounds and pounds)! Mark your calendar for October 27th next year! 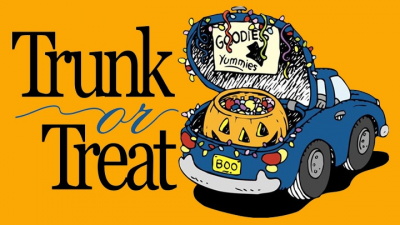 Trunk or Treat is a free event open to ALL children and families in our Bradenton community.